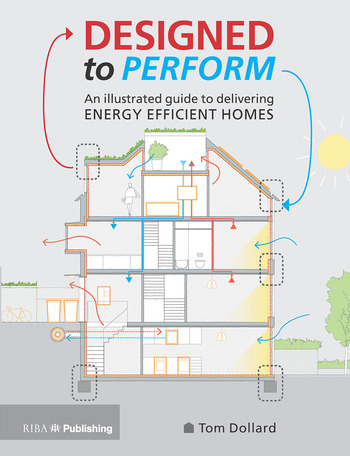 This book is an illustrated practical design guide to delivering better energy performance in all types of new build homes. It takes the form of an annotated details book, with photos taken from live construction sites, with the content based around diagrams, drawings and photos by the author, which demonstrates valuable best practice knowledge and advice. Chapter 1 is an introduction to the performance gap and the quality of design and construction in new build homes, explaining the typical construction sequence of homebuilding, and highlights common issues that designers need to engage with. Chapters 2-7 look at each construction fabric in turn, including a series of detailed drawings, diagrams and photos illustrating the key elements of good design. Chapter 8 contains a checklist of all performance gap issues that designers need to look for. This book will provide valuable guidance to architects and designers on how to improve their detailing at construction stage, and therefore the overall quality of design and performance of new homes. Introduction. The performance gap and how to reduce it. How to detail a thermally efficient building envelope? Masonry – Cavity Wall. Concrete and steel frame. Timber Frame. Insulated Concrete Formwork. SIPS – Structurally Insulated Panels. CLT – Cross Laminated Timber frame. Modular off site construction. Domestic Building Services – What architects need to know. Summary + key recommendations. RIBA stage checklists + explanation. Appendices.